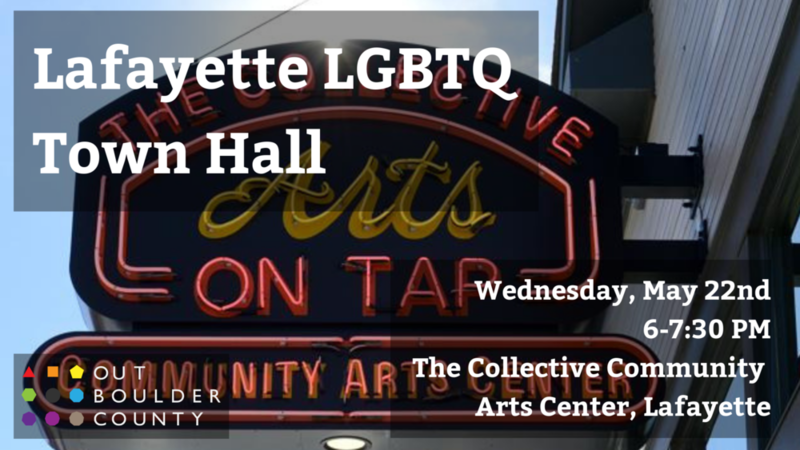 Come join us on Wednesday, May 22nd for important discussions on how Out Boulder County can better serve the needs of Lafayette and its surrounding areas. Please click here to RSVP to this event. If you have any questions or concerns, please email Charlie Prohaska (they/them/theirs) at cprohaska@outboulder.org.